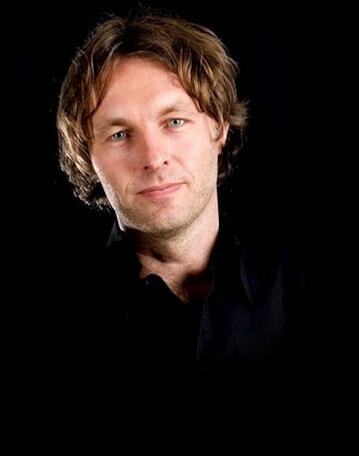 Corina Rietveld designs and creates the most beautiful jewelery with great enthusiasm. 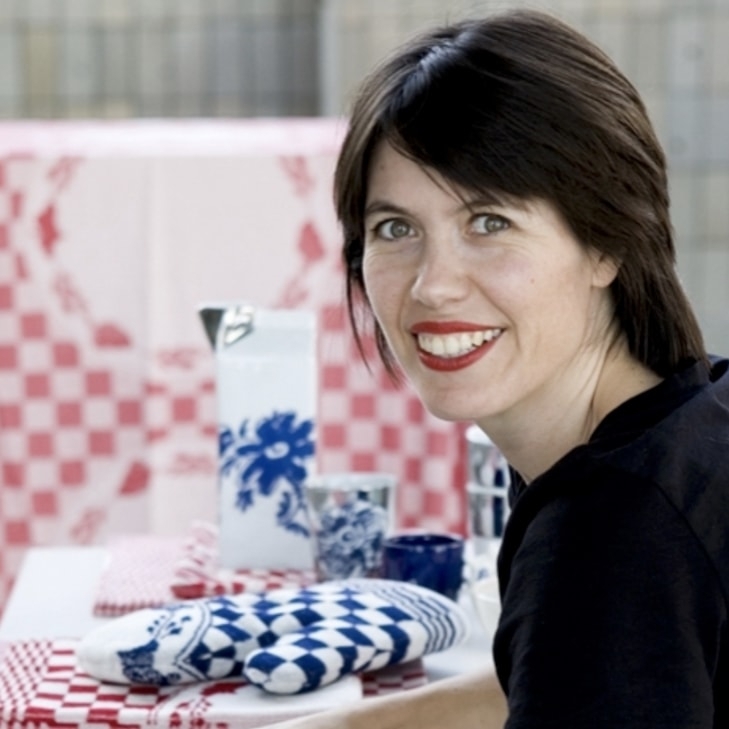 Rietveld uses everyday materials and techniques in a refreshing way. 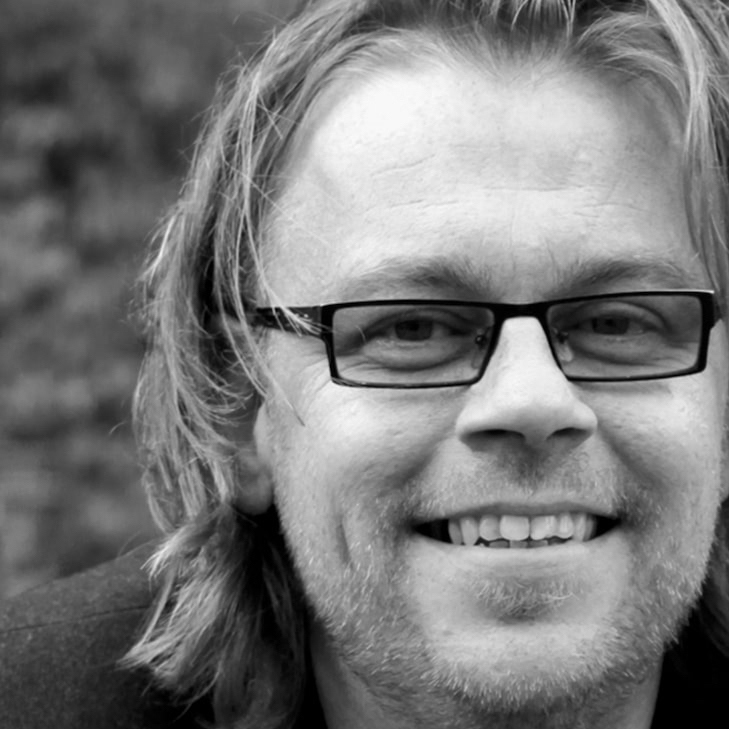 Trendy and stylish silver bracelet by Dutch jewelry designer Corina Rietveld. The bracelet is made of rhodium silver. Ideal to complete your outfit and combines well with other silver jewelry. Looking for fine silver jewelry? 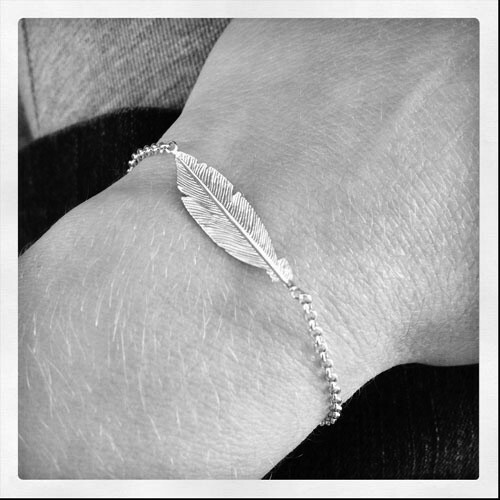 The shape and subtle design of this silver bracelet with feather by Corina Rietveld make it extremely trendy and very feminine. The feather has been designed up to the smallest details, which makes it look natural and realistic. The jewelry is simple, yet fashionable! Feathers have always had a spiritual significance. Think of the Indians and their feather headdresses. Indians used feathers to communicate with the holy spirit. Furthermore, certain bird species have a symbolic significance. For example, feathers of an owl symbolize wisdom, those of a robin happiness, and the feathers of a hummingbird symbolize luck. 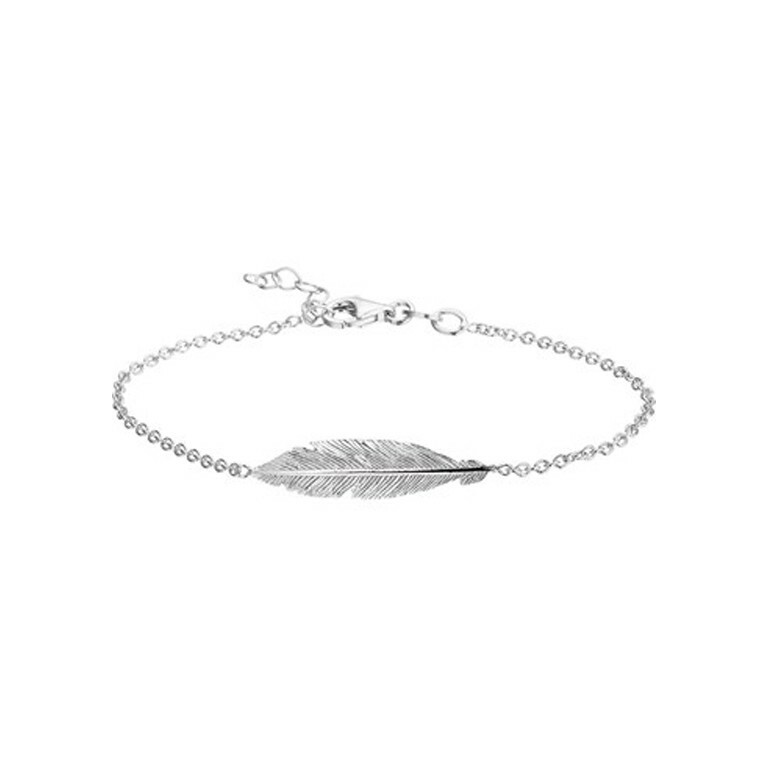 The jewelry in this ‘feather collection' is made of rhodium silver so it won’t turn black. The jewelry can be carefully polished with a dry cloth. The length of the bracelet is 16 - 19 cm. It has a hook fastening and can easily be adjusted with several adjustment rings. This allows you to wear this piece of jewelry the way you want to. 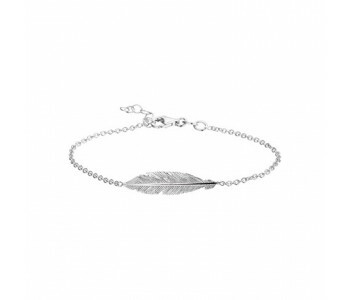 You can combine this bracelet endlessly with other jewelry by Corina Rietveld, such as the silver necklace with feather and the silver earrings with small feathers.